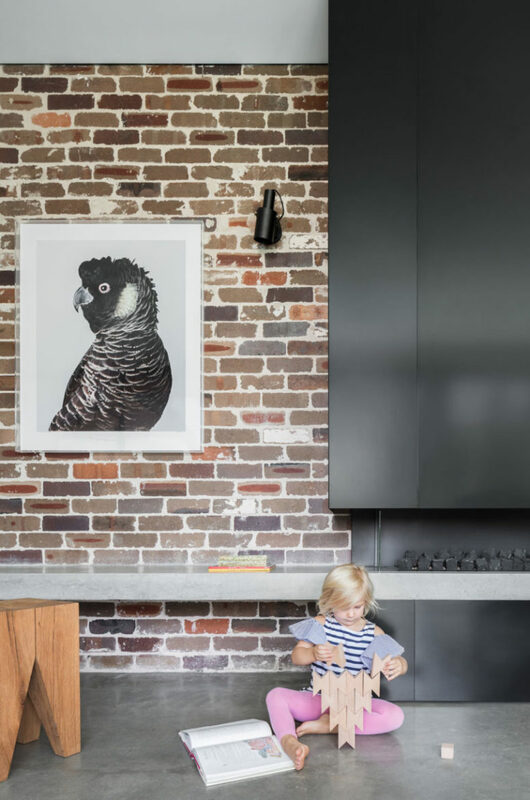 Lot 1 designed the Preston House in Sydney, Australia for a young family of five who like to spend lots of time outdoors. The C-shaped structure wraps around the swimming pool making it easy to connect the indoor and outdoor spaces. 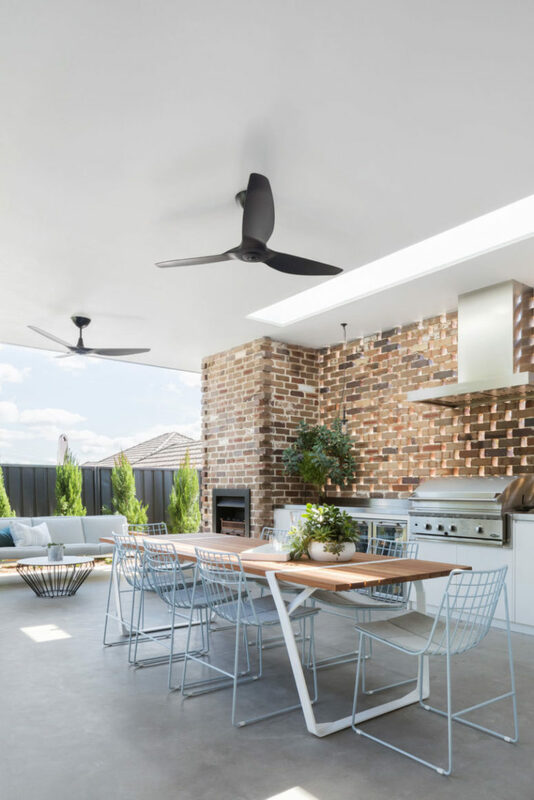 Adjacent to the kitchen is an outdoor kitchen and dining area that can be used together or separately. 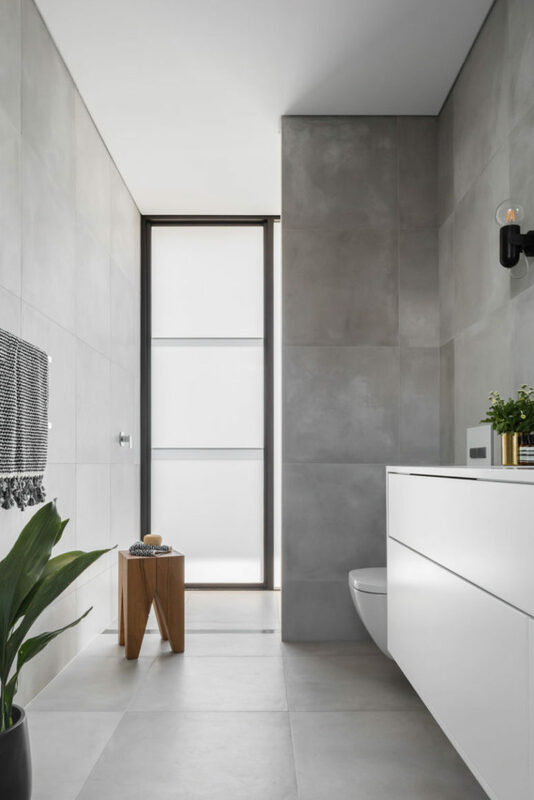 The light-filled interior was achieved due to the structure’s orientation which allows sunlight to enter most of the rooms. Floor-to-ceiling windows and doors open up for fresh air and easy access to the outdoor space, making it perfect for entertaining. 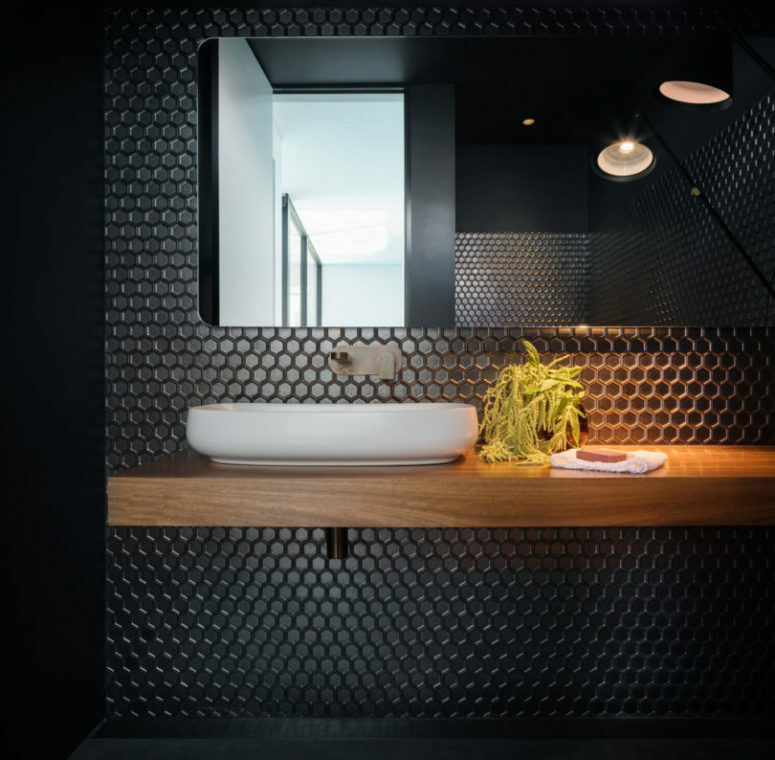 The clients requested a raw and industrial feel which lead to material choices of concrete, recycled bricks, solid wood, and black steel, used both inside and out. 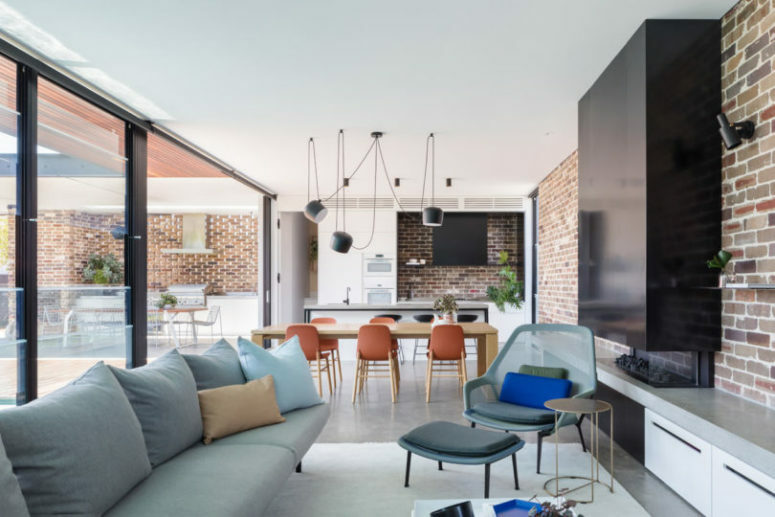 The heart of the house is a large open layout that includes a kitchen, dining room and living room. 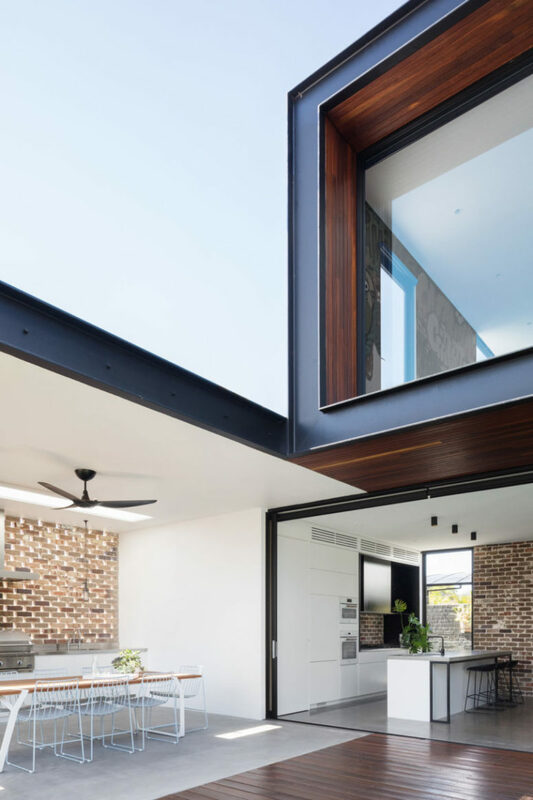 The space features a glazed wall that allows opening it to outdoors completely and brick walls that catch an eye. 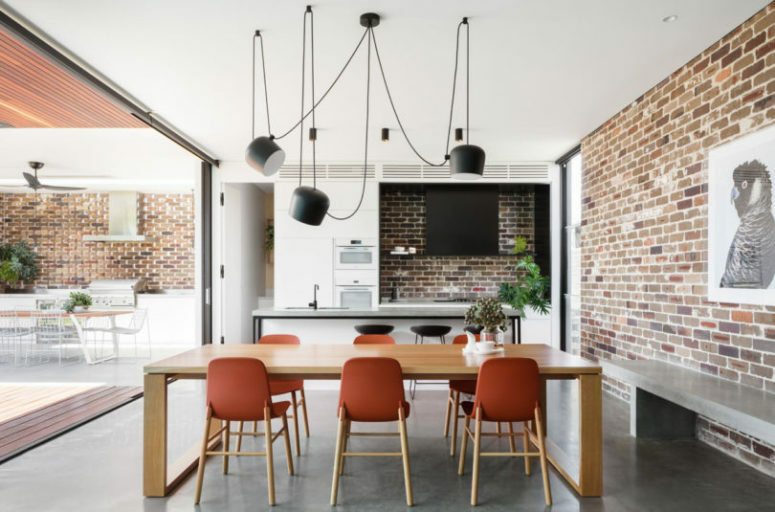 The dining zone separates the kitchen from the living room and I love the chaotically suspended lamps over the table – they are a bold accent here. 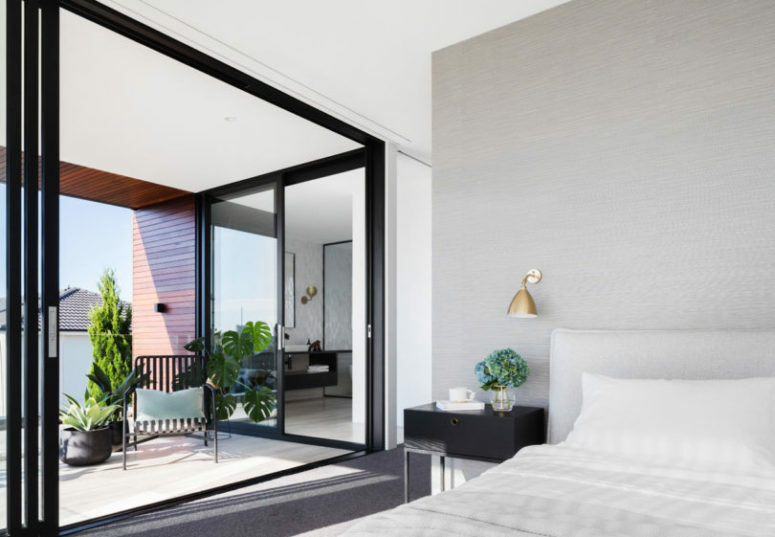 Another space that is definitely worth mentioning is the master suite. 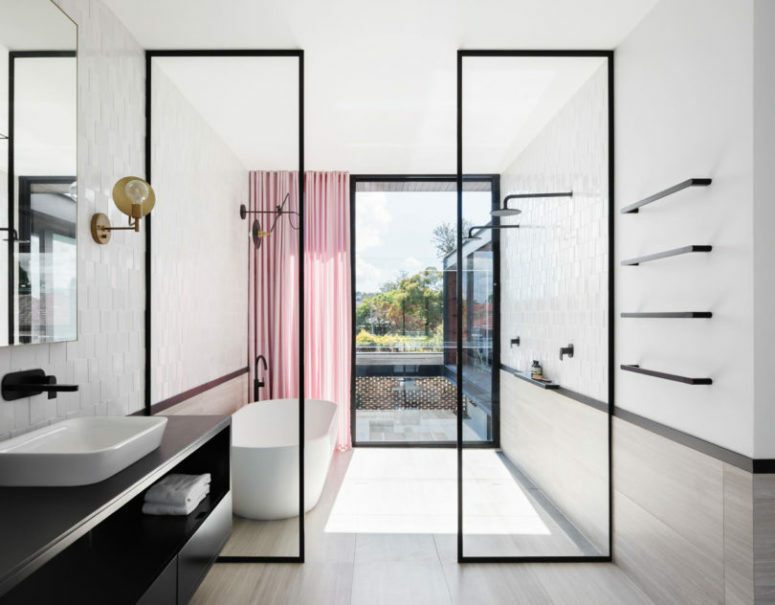 There’s a spacious bedroom with an access to a balcony and a large bathroom with a shower and bathtub zone, a view and a pink curtain for privacy. 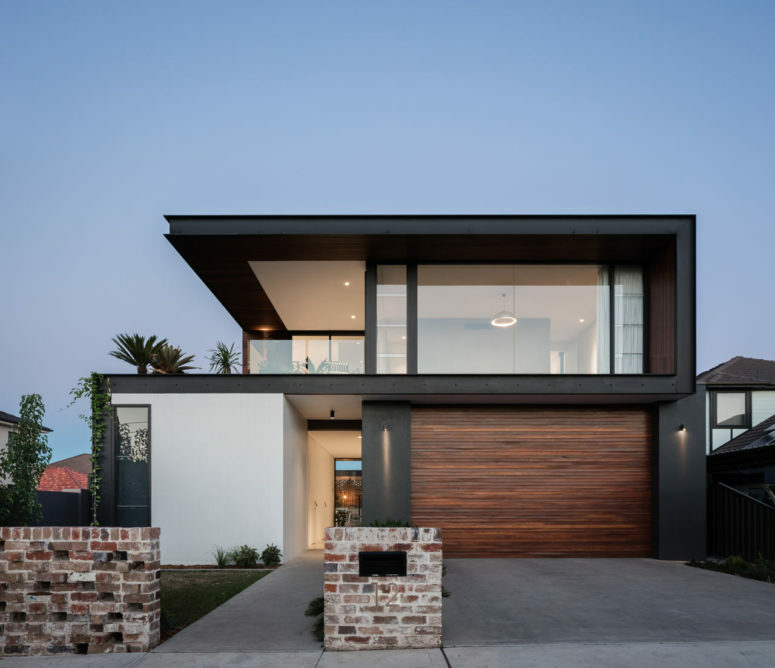 Wanna see more spaces of this gorgeous home? Scroll down!